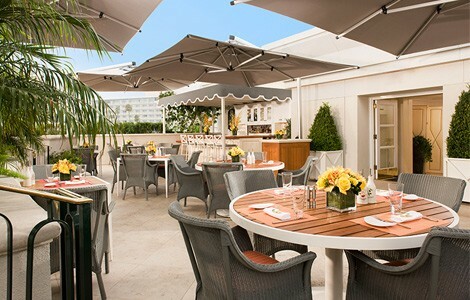 Expect classic Hollywood glamour with a touch of French countryside elegance at this southern California hotel, positioned at the crossroads of Wilshire and South Santa Monica Boulevards. 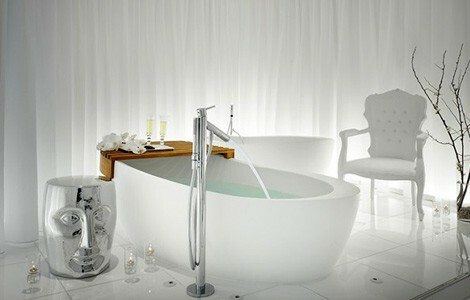 Accompanying this stylish hotspot are VIP amenities like a spa that resides on the hotel roof garden. Bliss® Spa at W Los Angeles takes its name seriously, granting clients with an ample amount of amenities to keep them forever entertained. Some of our favorites include the rhythm and blues soundtrack, the mod interiors, movie-while-you-manicure nail stations, and, of course, the signature brownie buffet. 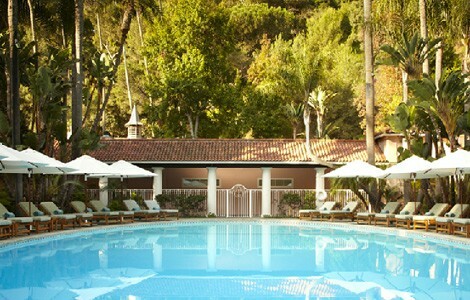 We love Spa del Rey at the AAA Five Diamond waterfront Ritz-Carlton Marina del Rey for its eco-conscious devotion. A member of the Green Spa Network, the seven-treatment-room spa presents a Spanish-nautical motif and a menu of personalized treatments using organic, vegan brands like ilike, wHet, Golden Path Alchemy, and Pure Fiji. We give two thumbs up to Ciel Spa & Robert Vetica Salon at SLS Beverly Hills for its A-list amenities: Philippe Starck-designed interiors—the white hues reflect a celestial dream—plus, cuisine by famed chef José Andrés and custom massage beds with music therapy technology. Terranea Resort sits on 100-plus acres along the southwestern tip of the Palos Verdes Peninsula, overlooking the Pacific Ocean and Catalina Island. Sounds spectacular, right? That’s just one phenomenal aspect here. 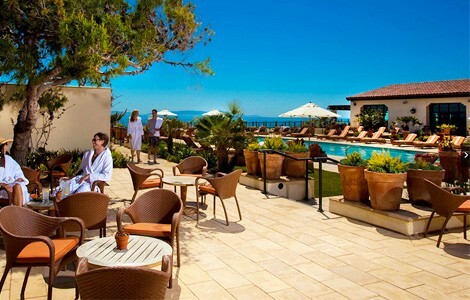 Another is The Spa at Terranea, where treatments/activities emphasize “time” and “place,” balancing the body’s natural bio-rhythms with nature’s rhythms, i.e., changing of the seasons and hours. Whether you’re walking the red carpet or simply walking to your office cubicle, you may very well feel like a star following a visit to Spa by La Prairie. The Forbes Five Star property features a couple’s treatment enclave with a private patio and a mosaic steam area, as well as the main focus: Swiss luxury brand La Prairie. This über-spacious facility near Thousand Oaks totals 41,000 square feet, comprising 28 treatment rooms—four of them with fireplaces and plunge pools; all open up to outdoor gardens. Holistic treatments combine ancient eastern therapies with present-day western techniques. 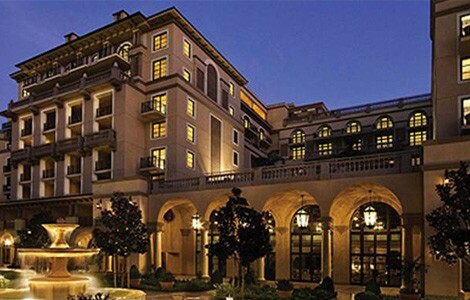 Steps from Rodeo Drive, Montage Beverly Hills is home to the lovely Spa Montage. A mesmerizing fusion of nature and water elements can be found throughout every space of the two-story, Moorish-designed spa, from the co-ed mineral pool and the wet treatment rooms to the mud rooms with Montage Affusion showers and designated locker areas. Ever want to feel like a celebrity? Head to The Ritz-Carlton Spa at The Ritz-Carlton, Los Angeles, residing within the 54-story hotel and residential tower of the downtown L.A. Live. With glamorous, cosmopolitan interiors that reflect the city locale, the adults-only spa mingles gold and silver hues with crystal and glass accents. We think residents of Los Angeles are lucky to be located near Exhale Mind Body Spa at Fairmont Miramar Hotel & Bungalows, especially if they’re wellness buffs. The intimate spa and studio features an extended list of treatments—acupuncture, facials, energy therapies, massage, nailcare, and waxing (many of which can be taken poolside! )—and daily Core Fusion and yoga classes.